Until now, Etihad has kept its Airbus A380 private residence an option for big spenders only. Now, the airline is allowing big mileage spenders to get in on the luxurious experience. Plus, there are plenty of bonus miles and points up for grabs this week. Secure Mosaic elite status with JetBlue by earning double TrueBlue points between now and the end of the year. To earn top-tier status, you need 15,000 Mosaic-qualifying points during a calendar year. This targeted promotion can help you get there twice as fast, but be sure to check your email to see if you are eligible. Tickets must be purchased and flown during the promotion period between now and December 31. There’s yet another offer for free miles out there. All it takes is to hand over your email address and agree to receive the electronic “Virgin Produced Newsletter” from Virgin America. Be sure to sign up by October 26 to score the free points. Eventually, these will be combined with Alaska Airlines Mileage Plan miles if the merger between the two carriers is approved. These free miles are in addition to past opportunities that the airline has offered to members for simply signing up for emails. If you were one of the lucky folks to get in on the Chase Sapphire Reserve 100,000-point signup offer, congratulations! The credit card was so popular that the manufacturer actually ran out of metal cards to send to new customers. Instead, they were being issued heavy-duty plastic cards instead. Good news: the metal cards are back. If you are one of the people issued a plastic card, keep an eye on your mailbox. A metal card is coming. If you have a hefty stockpile of miles, and if those are Etihad miles, and if you are lucky enough to find a date where it’s available, the Residence could be yours for free. That’s right: butler service, private lavatory and shower, luxurious bedding, and separate living or dining area are part of the 2.4 million mile-package. Etihad is a transfer partner with many major credit cards via programs like Chase Ultimate Rewards and Citi ThankYou points, but that will almost certainly empty out an account for just one flight. But, if this has been on your bucket list (and honestly, the much cheaper First Class Apartment is a much better value proposition and comes with newly updated amenity kits in partnership with Omorovicza’s Gold Collection), you can finally go for it using miles. 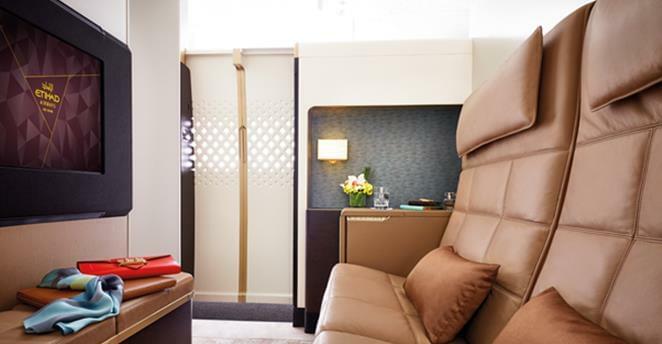 To find availability, log onto Etihad Guest’s award booking portal. Looking to redeem airline miles or credit card points to enjoy Emirates’ inflight service? There is soon to be a new destination in North America to choose from: Fort Lauderdale. Service will begin Dec. 15, and the flight is timed to connect to dozens of JetBlue flights operated from their focus city there. Need to boost your mileage account with Emirates Airlines? Hyatt Gold Passport will give you quadruple points when you stay between now and the end of the year at any of its hotels in Europe, the Middle East, Africa, Nepal, or India. The bonus mileage offer also comes with late checkout, which is a nice perk. This could be the first step in your quest for that first class shower in the sky. Star Alliance has created a new group of airlines within its fold known as Connecting Partners. It already has Mango Airlines from South Africa in the grouping, and now the alliance is adding China’s Juneyao Airlines. The partnership is not one of mileage redemption and earning, but rather one of added flier benefits. For now, the airline will attempt to better align its route network and flight times to connect with Star Alliance members. It also means that elite members can take advantage of special benefits like priority check-in and lounge access. Let’s hope that reciprocal mileage earning and burning comes soon. Delta has finally thrown a bone to its oft-ignored Silver Medallion elite tier. Until now, only higher Gold, Platinum, and Diamond Medallion members were eligible for first class upgrades when redeeming miles for an award ticket. Silvers will now be eligible beginning 24 hours before their flight. While a generous perk, upgrades are quite hard to come by on flights these days. Airlines have made first class pricing more competitive while also offering discounted buy-up fares to people as they check in. Silvers may not be enjoying plentiful first class upgrades on award tickets anytime soon, but it’s nice to know that the opportunity might be there if the stars align. The fight for Washington state-based fliers between Delta and Alaska is continuing. Delta’s “12Status” promotion gives members bonuses for joining and each passing yard at Seattle Seahawks home games. Alaska’s new sweepstakes entitled “Fantasy Bonus Miles” is even more wide-reaching targeting fliers in five states across the Pacific Northwest including Alaska, Idaho, Montana, Oregon, and Washington. Unfortunately, it does not offer miles for as many people. Instead, people in those states can register and be eligible to win either miles or discounted fares to various away game destinations for the Seattle Seahawks.